Jay M. McDannell is a civil/commercial litigator with over 10 years experience in state and federal courts, both locally and nationally. Jay has successfully resolved both small cases and multi-million dollar disputes for clients over a wide range of practice areas and industries, including government contracts, construction, energy, financial services, fraud, insurance, civil rights and complex commercial disputes. Jay's clients vary as well from individuals to small business owners to multinational corporations. In his free time Jay is helping coach his son's baseball team and plays softball and volleyball. Jay has also done award-winning work with underprivileged District of Columbia high-school students to provide mentors, knowledge, motivation and preparation to succeed at four-year colleges. Jay successfully defended an architect/builder against millions of dollars of contractual and construction defect claims by the Los Alamos National Laboratory related to the construction of a nuclear wastewater facility. Jay served as primary counsel for the matter in all phases of dispute. Jay represented New Castle County, Delaware in relationship to a "taking" claim by a developer and related claims of breach of contract and equal protection violations. Working with and coordinating among a team of attorneys, Jay prepared the case for trial, presented witnesses and in limine arguments at trial and was the primary author of the appellate briefing that ultimately ended the matter successfully for New Castle County. 2008 Del. Lexis 593 (Dec. 22, 2008). 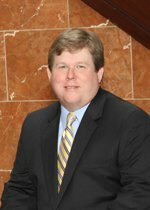 Jay recently achieved a successful outcome for a local bank in a dispute over a long-term lease. The bank had allegedly failed to strictly comply with certain aspects of its lease that would have allowed it to execute a long-term extension, valued as a savings of over $2 million as compared to market rates. Jay developed a clean summary judgment argument that prevailed in Maryland state court, leading to a finding that the bank had, in fact, properly executed its rights to its long-term lease. Jay has also represented a bankrupt energy company in a complex dispute involving the aborted construction of power plant. The dispute involved complex questions of commodity prices, transmission and generation of electrical power and related issues. Jay handled all aspects of discovery, was primary liaison with several experts and deposed multiple experts during the proceedings. Jay also served as second chair during several weeks of 'baseball'-style arbitration hearings. Jay represented a pharmacy benefits company in defense of allegations of fraud and related contractual claims by a very large customer. Jay spearheaded efforts to cost-effectively manage an extremely voluminous dataset underlying the dispute. Jay was able to determine the third-party source of the alleged fraud and successfully limit the exposure of his client. Jay has represented numerous corporations and individuals with regards to CFTC investigations of market conduct. These disputes have involved a range of complex business and trading activity and, where appropriate, the use of financial and market experts. Jay has been responsible for employee interviews on these complex issues as well as developing internal investigation strategies and internal reports for corporate use. Jay represented a national builder related to a high-profile building collapse leading to over $400 million in damages. Jay was integrally involved in case assessment, technical analysis and discovery phase of the litigation.